Information is at the heart of all organizations, akin to blood flowing through its arteries and veins. However, all too often Information is not professionally managed with the rigour and discipline that it demands. Nonetheless the implications of poorly managed information can be catastrophic, from ICO and other regulatory sanctions ultimately to business collapse. Professor Joe Peppard summed it up when he said “the very existence of an organisation can be threatened by poor data”. This course will provide the rationale why Information Management is critical, and provide methods and practices for addressing key Information Management challenges. This 2-day Data Quality Management course address the key aspects of Data Quality management & provides practical take away actions that will enable you to start a Data Quality initiative in your organisation. The course draws up the Data Quality discipline as defined in the DAMA body of knowledge (DMBoK). Taught by an industry recognized DAMA DMBoK(2.0) author and CDMP(Master) this course provides a solid foundation and shows the context of Data Quality within the complete Information Management spectrum. DAMA (The Data Management Association) is the World’s leading independent body for Information management professionals, offering certification, mentoring, and guidance. This 2-day course is intended for personnel involved in Information Management, Data Governance, Master Data Management and/or Data Quality, initiatives including: Information Managers, Information Quality Practitioners, Executives, Technology Leaders, Business Technology Partners, Business Analysts, Enterprise Architects, Information Architects, and Data Architects. Categories of Data Quality issues from real world case studies and their root causes. Why does this matter – the drivers for Data Quality and how to link data quality to business priorities. The relationship between Data Quality Management and other core Information Management disciplines particularly Master Data Management, Data Modelling and Data Governance. Who is involved in making Data quality initiatives work. How can we make the connection between Data Quality and business needs? What does “Data Quality” mean in the context of business processes and can we define it? 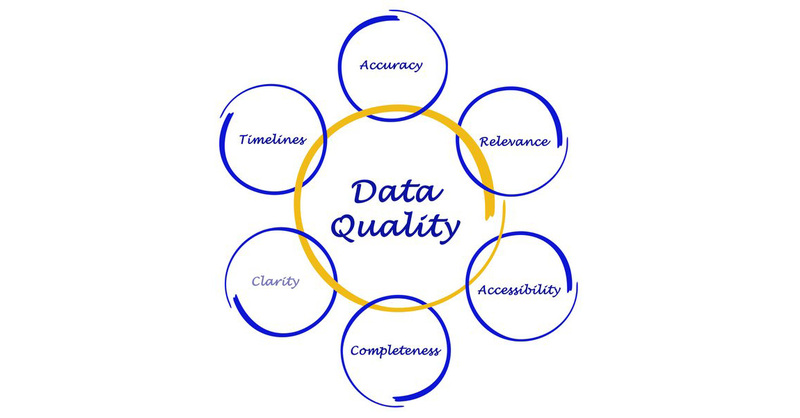 What are the 6 Dimensions of Data Quality as defined by DAMA? What do each of these dimensions’ mean? What are the pitfalls of looking at just one Data Quality dimension in isolation? Alternative (non DAMA) views of Data Quality Dimensions. How can we evaluate data quality for the data quality dimensions and are these applicable to the problems being faced? This is an essential step to provide the input for root cause analysis and remediation approaches. 4 different styles and approaches to reporting Data Quality will be discussed highlighting the benefit and applicability of each. Continuing the Data Quality measurement framework, what is the relationship between DQ Dimensions, DQ Measures & DQ Metrics. What is their applicability and how many should we include in our DQ assessments? What are the techniques to determine the impact of poor-quality data on the business? What are the benefits of increasing Data Quality and the business impacts of poor Data Quality? Root Cause Analysis: What really caused the problem? An approach for identifying and prioritizing the real causes of the data quality problems? Developing targeted strategies and approaches for addressing the causes. Starting and sustaining a Data Quality initiative: The key steps for achieving Data Quality success, and the activities & structures that are required together with the necessary steps for creating the foundation for DQ. What are the typical organisation roles, responsibilities, organization structures and principles that should be in place to ensure successful Data Quality? How can we put all of this together into a workable framework for establishing and sustaining Data Quality in your organization? Now that you’ve made a start, how do you sustain Data Quality. How can we bake Data Quality (and other Data considerations) into our “Business as Usual” activities to make it stick? What tooling & automated support exists for Data Quality initiatives? What are the types and the applicability of software tools to support a Data Quality initiative? What is a reference architecture model for Data Quality tools, and the common functions, capabilities, and the differences between them? What items should we examine when selecting Data Quality tooling? An evaluation checklist will be discussed covering what to look out for. What is the relationship between Data Quality, Master Data Management, Data Governance & the other Information disciplines? What is the crucially important role of data models in a Data Quality initiative? How is this governed? The essential part that Data Governance undertakes. How do we measure the success of a Data Quality initiative & the pitfalls of tactical Data cleaning where the data is corrected in situ?